Sewing clothes. 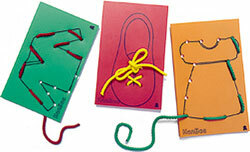 10 cards made of polyester and 10 cords. Also available sewing number and sewing alphabet.